Planning a weekend trip to Cincy? You have to stop at Jungle Jim's International Market to see all of their amazing hidden treasures! With more than 200,000 square feet of shopping and over 180,000 products to choose from, Jungle Jim’s International Market will provide you with a shopping experience that’s anything but ordinary! If this is your first visit, then I highly suggest carving out at least four hours of your day! Catch a comedy show, check out waterfalls, taste the hottest peppers in the world, visit multiple countries, and contemplate which exotic spices you’ll want to take home for dinner that night! 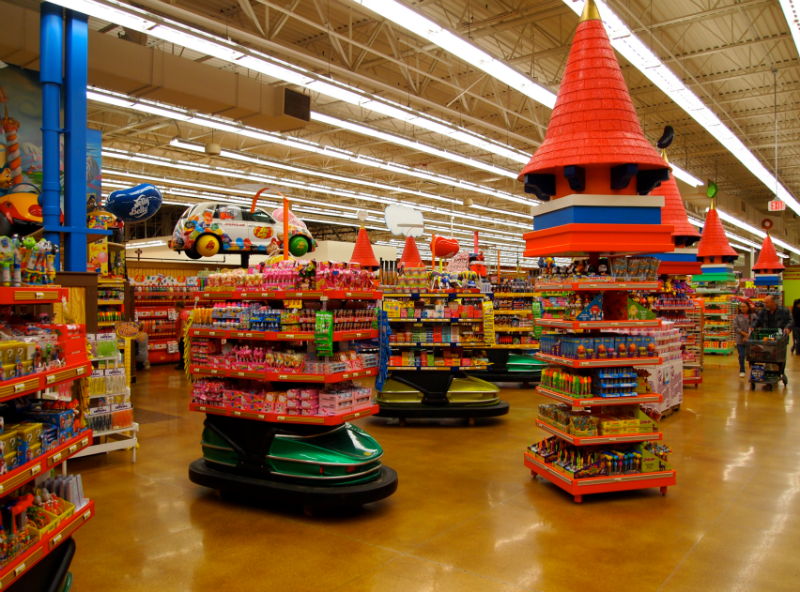 There’s something for everyone at Jungle Jim’s and the possibilities are endless! The best part is, HER Realtor’s can help you find your dream home right in Jungle Jim’s backyard so you can bask in all their products every day if you wish! Not only can you find your favorite “throwback” candy at Jungle Jim’s, but you can count on finding a treat for your furry friends at home! Apples by Sharon is also a fan-favorite sweet spot with plenty of candied home grown apples to choose from! You’ll never see as much honey in one place as you will at Jungle Jim’s! If you’ve learned one thing, it’s to bring your sweet tooth with you when shopping at Jungle Jim’s! One of the best things about Jungle Jim’s is how it caters to all. For instance, if you have a gluten allergy then you’ve come to the right place! Jungle Jim’s gluten-free selection is the largest in the midwest. 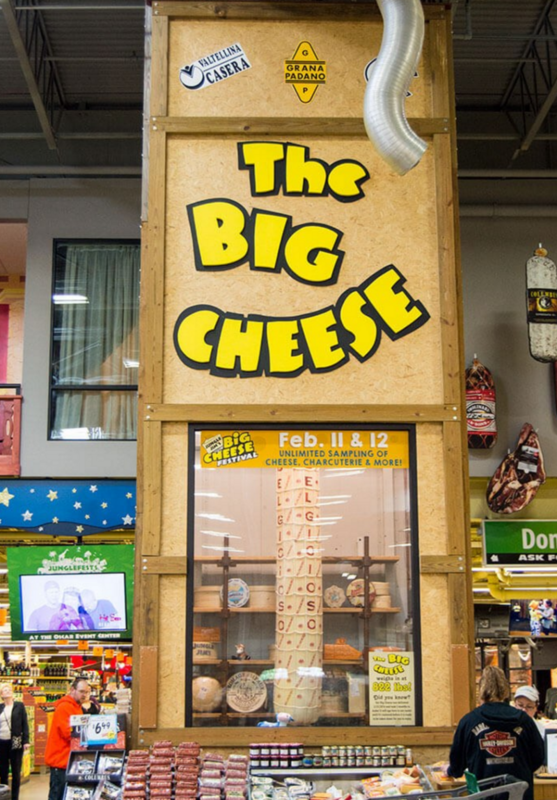 If you’re a cheese fanatic, then check out the 765 pounds of big cheese and take some home with you! You’ll also realize how much you love butter after stopping at the Butter Bar with the “best” butter from Europe and America. What more could you ask for? Do you like wine? Because they have endless shelves of it! If you want to take in as much of this wonderland as you can but can’t find a babysitter, then once again, you’ve come to the right place! Jungle Jim’s has all sorts of attractions and comedy shows that’ll keep them just as entertained. Stop by and listen to The King play a classic Elvis song while dressed in a silly suit! Listen to the jungle pets and crows (mounted on the walls) sing while searching for groceries, visit the boardwalk in the fish market, say hello to King Kong, take a trip through Sherwood Forest, and so much more! Jungle Jim’s International Market is a destination that should be on everyone’s bucket list. You’ll find store tours, food demonstrations, and lots of fun for the entire family. Stop in for an hour or make a day of it!